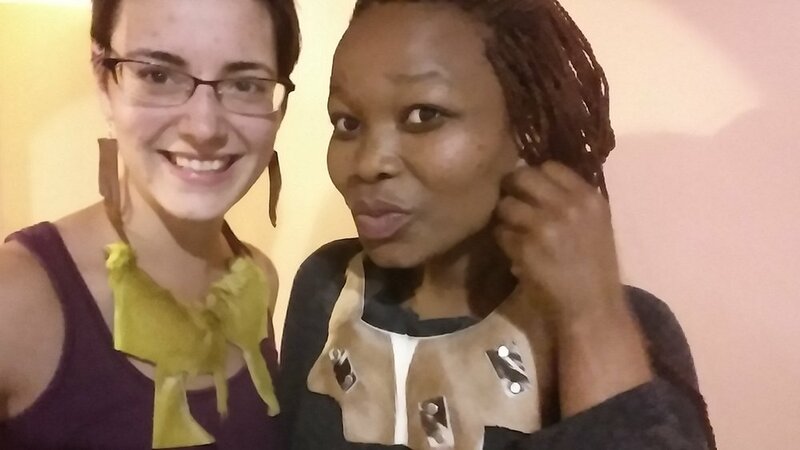 The following blog is a recorded journey of my time learning and living in South Africa. Please scroll to the bottom to start at the beginning of my journey. South Africans are carnivores! I’ve never eaten so much meat in my life. Not a single part of the animal here goes to waste. Since I’ve been in Cape Town I have eaten: smiley (sheep’s head), sheep tripe, pap (similar to southern grits), fat cakes and pretty much every edible part of a chicken imaginable. 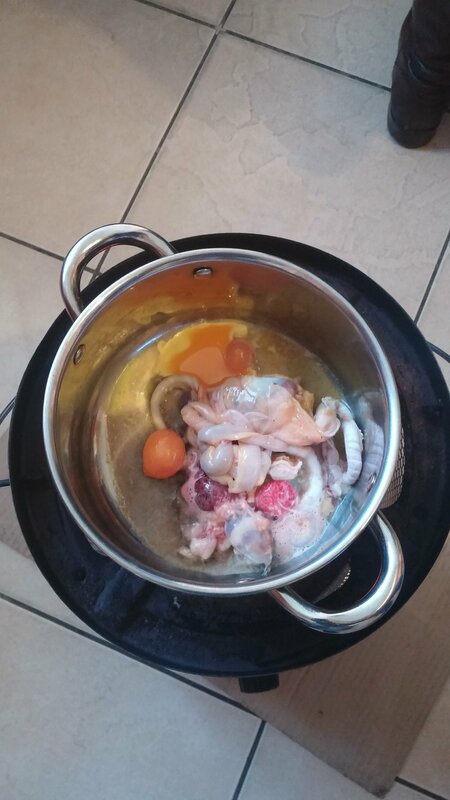 I had the lovely experience of gutting a freshly killed chicken and then eating the cleaned and cooked guts. 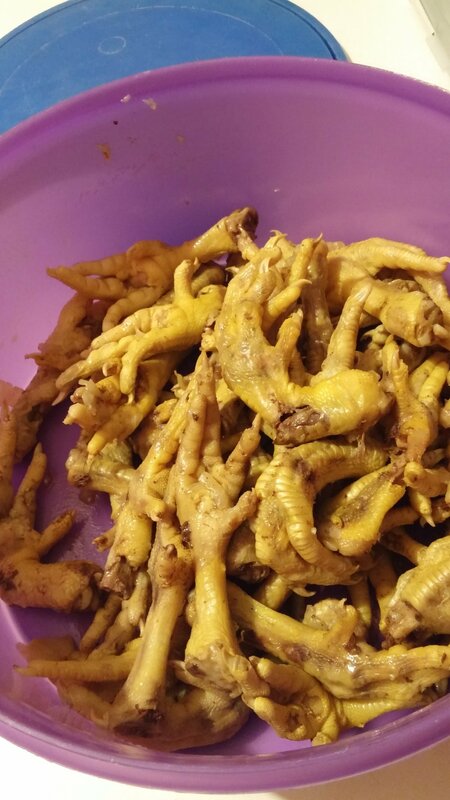 So far my favorite meals in the township have been fish and chips, chicken hearts and pap, chicken liver covered fat cakes, and crispy chicken feet. I have spent a lot of time in the kitchen with my sisi Nosipho. She spent time teaching me how to fry fat cakes and how to properly eat chicken feet (you have to bite off the nails before you start eating). The kitchen is surely the best way to make friends. I was a little nervous about staying in Langa at first, but it has proved to be my favorite part of my experience in South Africa. Langa is the oldest black township in Cape Town and has such a rich history. The people here are so warm and cheerful. They wave and say hello to me wherever I go. My sisi is around my age and her friends and my family have made me feel so welcome. I was even invited to join my homestay family for Church last Sunday. My mama here attends the oldest Baptist church in Langa. She walked me around and introduced me to everyone as her new daughter and I got hugs from everyone. The service itself was filled with the most beautiful gospel music and people clapping and dancing. It was probably a good thing most of the service was music because the actual sermon was given in a mixture of English, Xhosa, and Zulu.